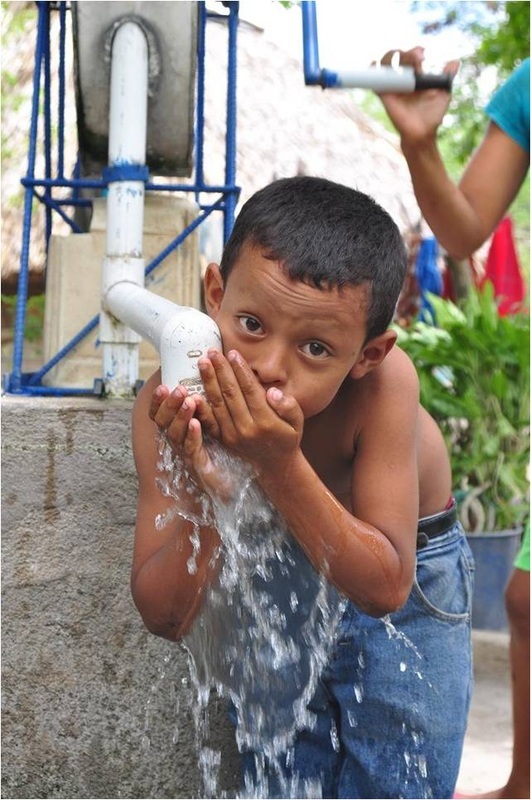 By providing clean water to communities in Nicaragua, the Nicaragua Covenant helps fight a number of diseases and improves the quality of life in those communities. The Nicaragua Covenant is “always looking for mission work teams; there’s always plenty of work,” said Sandy Melius, co-chair of this ministry that provides a medical clinic, education, feeding, clean water, and empowerment programs in this Central American nation. Melius first went to Nicaragua after graduating from nursing school in 1993; she thought it would be a one-time trip. She was wrong. And making the trip is not difficult. Nicaragua, she points out, is no further away from New England than California. And a new facility, Quinta Amanecer, the gift of a “very generous donor,” serves as the home base for the Covenant’s mobile medical clinic and for visiting mission teams. “It is like visiting a hotel; it has a pool, air conditioning,” she said. The Nicaragua Covenant was established in 1986. Over the years, it has formed a number of partnerships with other organizations working there. One type of joint project is the creation of community wells. It’s a good fit, Melius said, because providing clean water addresses the root cause of many of the health problems seen at the clinic. They have been part of three well projects so far and are saving up for another. “We involve the entire community in the project,” she said, and most importantly they teach people how to make repairs once a well is in place. Another crucial component to creating a self-sustaining project, Melius said, is to use materials that are available in Nicaragua. These kinds of partnerships and relationships are at the heart of the Nicaragua Covenant, she said. “We have the opportunity to become very close; we (Weston United Methodist Church in Massachusetts) have a sister church in Nicaragua and we pray for them every Sunday. We are in their prayers weekly as well. “The amazing closeness is such a huge part of the value of the Nicaragua Covenant,” Melius said. Story by Beth DiCocco, Conference Director of Communications. Photo courtesy of the Nicaragua Covenant. But even if you can’t experience that closeness by making a mission trip, you can support the work of the Nicaragua Covenant, which is holding its biggest fundraiser of the year, its Auction and Dinner, on Saturday, April 25, 2015. There is a silent auction as well as a chance to bid by raising your paddle to a live auctioneer. Among the items available are three pairs of Red Sox tickets – two sets right behind home plate, a Boston Harbor cruise with lunch and time at a condo in Killington, VT.
“It’s really a lot of fun,” Melius said.